Customer service has traditionally been run as a cost center instead of a profit center, more focused on deflecting than satisfying customers. The ability to use the personal interactions that take place in customer service to create efficiences and profits has been sorely underutilized. 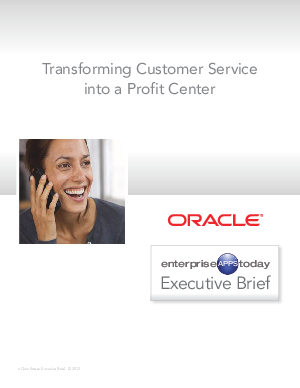 This Executive Brief explores the strategies your business can take to turn customer service into a profit center and help grow revenue.